The primary responsibility of a college board is to make the most effective, well-informed decisions possible. Making the most efficient use of a board’s meeting time goes a long way in maximizing their decision-making effectiveness. Designating a moderator can be one of the best ways to make sure every second counts. Let’s take a closer look at the best practices for moderating college board meetings. Before we get into the specific best practices college boards can use to effectively moderate their meetings, we first need to define the role. What is a moderator? In the simplest terms, you can think of a moderator as a “structured spoilsport”. In social settings, you would be perceived as a nuisance for punctuating a conversation with nagging statements, probing questions, and abrupt redirections. Moderators get a free pass to do just that. However, it’s not uncommon to still feel hesitant or self-conscious about asserting oneself in this way. 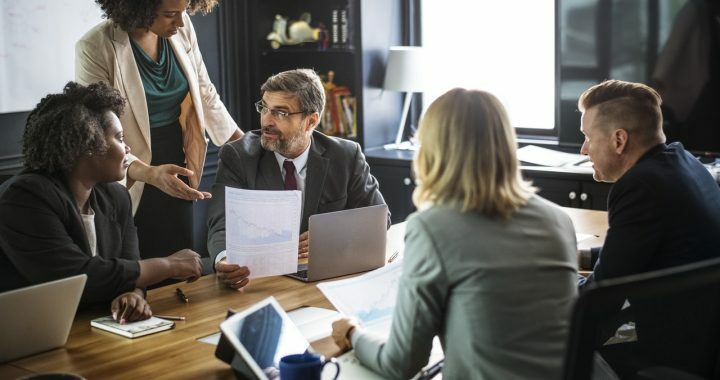 Gaining board members’ acceptance, upfront, of the fact that moderators are “annoying for the benefit of the group” can be the best way to mitigate any social reservations. Designating a veteran board member to serve as a moderator is another way to maintain the assertiveness required of the role. Seasoned directors are less likely to feel self-conscious about making a good impression amongst the other board members. Ensure the risks, benefits, and information supporting or opposing all options and solutions presented before the board receive fair consideration. Of course, these duties set the bar for a moderator’s involvement pretty high. It’s not reasonable to assume your designated moderator will be able to effectively accomplish each of these duties. However, knowing how best to accomplish each of these responsibilities is a great way to ensure your moderator lives up to their potential. Moderators must ensure that members of the college board maintain a singular focus on the topic at hand throughout deliberations. While this obviously includes topics outside of those listed in the meeting agenda, allowing the dialogue to float between agenda items can make it difficult to define concise action items. The discussion surrounding each item on a college board’s agenda must have a clear beginning and end. An effective moderator is expected to redirect the conversation — abruptly if necessary — whenever it strays too far from the topic at hand. The ability to identify, confront, and resolve bias throughout the course of deliberation can play a critical role in maximizing college boards’ decision-making effectiveness. Given recent statistics on board heterogeneity, the risk of allowing bias to dictate a college board’s decisions is alarmingly high. Intervening as soon as bias is detected is the best way to ensure college boards make the most effective use of their time. Moderators should look for instances in which a board member dismisses ideas that challenge their opinion without granting these ideas a fair and thorough consideration. An effective moderator must be willing to call out or confront suspected biases. Addressing board members in a manner which may be perceived as confrontational presents a social obstacle which many find difficult to overcome. The confrontational element of calling out bias can be mitigated by counting the instances in which an idea is dismissed without fair consideration. Alerting board members when ideas challenging a given opinion have been dismissed multiple times is a great way to keep things objective. Presenting the board with the number of dismissals places the focus on the number and not on an accusation of bias. An uneven dialogue prevents the board from reaching a unified consensus. Board members should be appointed based on their expertise. Therefore, failing to weigh in on a topic of deliberation weakens the effectiveness of a board’s decision-making. An effective moderator should aim to ensure that each board member offers candid and honest input toward each topic of discussion. Honesty and candor play a critical role in making effective decisions. In their effort to maintain a balanced dialogue, moderators must consider whether the imbalance can be attributed to the hesitancy of a board member to offer their candid feedback. If a moderator suspects this to be the case, finding the source of the hesitation is the first step in breaking the ice for honest insights. Regardless of whether or not a reluctance of candor is responsible for shifting the balance of the conversation, a moderator must target board members with probing questions until everyone has weighed in on the topic at hand. Even in the midst of an otherwise effective round of deliberations, an abundance of ideas and solutions may gum up the works. Energy and enthusiasm can come in handy when brainstorming ideas or evaluating risks and benefits. However, the more energy and enthusiasm board members have, the harder it becomes to focus on objectively identifying concise, unambiguous action items. When board members are unable to easily identify action items or prioritize ideas and solutions, an effective moderator will lead the group in a decision-making technique. We’ve broken down the steps of several popular techniques in the Directorpoint blog. These techniques provide moderators with an effective means of identifying, evaluating, and prioritizing ideas. Each technique should leave board members with a handful of concise action items with which to close out deliberations over a given topic. This responsibility is fairly self-explanatory. Moderators may not need to interject if deliberation surrounding a given topic concludes with clear, but unspoken action items (such as “Tracy will email Mark for a pricing quote”). However, it may be best to incorporate the identification of concrete action items into the normal process of concluding discussion over a topic. Regardless of how action items are identified, effective moderators will ensure that college boards do not move on to discussing a new topic without making these items clear. Action items should be structured to define two elements: (1) the person, and (2) the action. The more ambiguity there is in how an action is defined, the less of a chance there is of completing it. For example, “John will look into securing a sponsor for the golf outing” leaves much more room for failure and underperformance than “John will email Tony’s Pizzeria to ask if they will sponsor the golf outing”. College boards must ensure all risks, benefits, and information receive fair consideration in order to make an effective decision. Failing to weigh the pros and cons or evaluate the necessary information regarding ideas and solutions presented for discussion is risky. It creates the chance that board members will overlook serious consequences in their decision-making. An effective moderator will interject as needed, to steer the conversation such that all four elements are covered: (1) risks, (2) benefits, (3) supporting information, (4) opposing information. Upholding the six key responsibilities of an effective moderator is no easy task. However, making even a decent effort towards fulfilling these duties will substantially benefit your college board. For more insights and best practices, visit the Directorpoint blog. 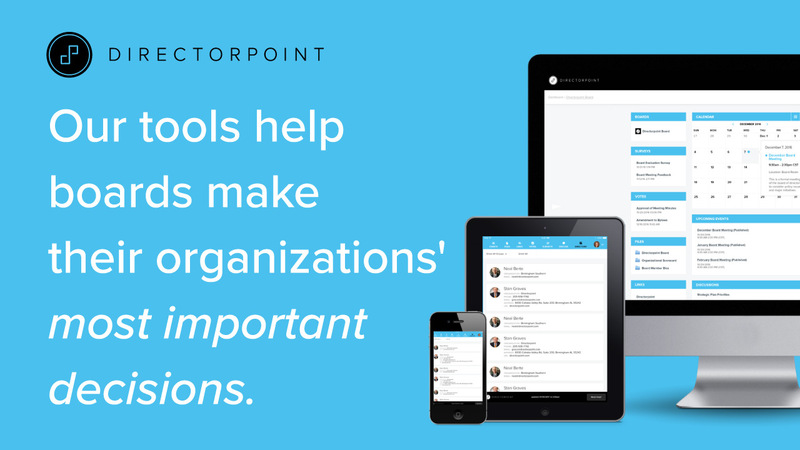 If you’re interested in learning how Directorpoint’s Board Management Software helps college boards make more effective decisions, schedule a free software demo today or call (888) 492-7020. Posted in Blog and tagged better decision-making, college boards, colleges, Decision Making, deliberation, moderator, universities.